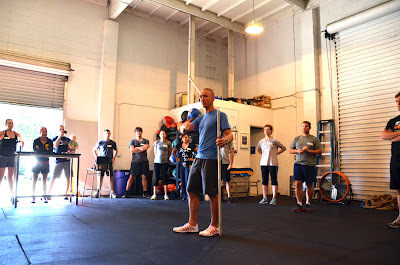 The CrossFit Endurance run performance workshop earlier this year was fun and informative, and I also enjoyed the refresher on natural running technique at the recent MovNat Fundamentals session in Palo Alto. But it wasn't until today's Flow Running seminar that everything finally felt like it clicked into place for me. The man behind Flow Running is Patton Gleason, an experienced ultra-marathoner and trail runner. (He's also the founder of the Natural Running Store, a fantastic source for CrossFitters and runners looking for Inov-8s, Altras, and Vivo Barefoots.) After getting acquainted with Patton on Twitter, I finally got to meet him a few months ago at the CrossFit Games; every time I passed his booth, I stopped to chat him up. 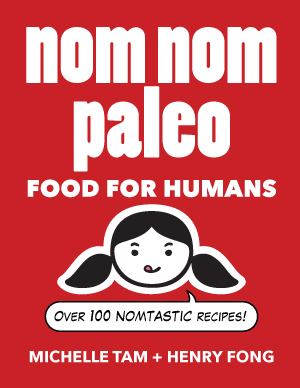 Not only is Patton an expert in natural running techniques (and a Paleo eater! ), he's a warm, funny and charismatic guy. It's impossible to not like him. 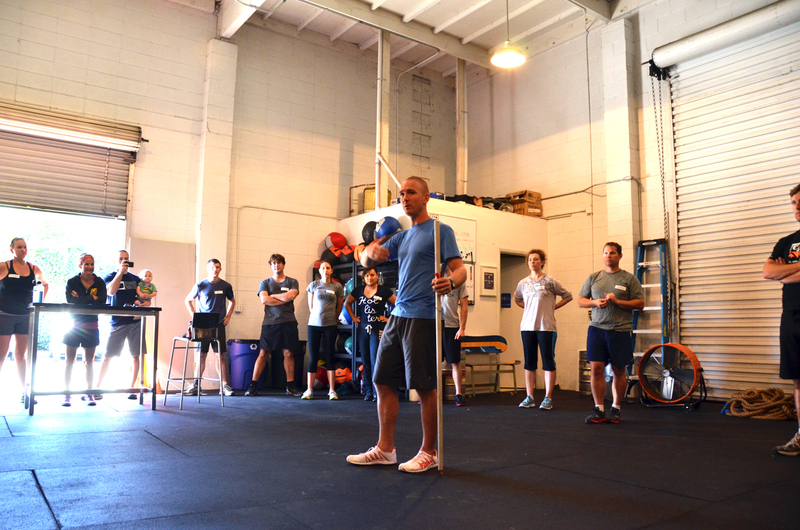 Patton traveled up to the Bay Area to lead a couple of two-hour Flow Running seminars at CrossFit Palo Alto this weekend, and I'm glad I got a chance to attend. The time flew by as we learned how to run efficiently and stay injury-free. 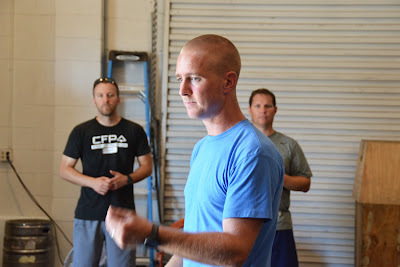 I was amazed at the amount of information Patton was able to pack into just 120 minutes, but by putting us through a number of short running drills, he gave us a ton of firsthand experience that'll likely stick with us for a good, long while. If you're familiar with minimalist running techniques (e.g., POSE, Chi, MovNat, CrossFit Endurance), Flow Running won't be foreign to you. Patton emphasizes many of the same foundations of running: proper posture, focusing on firing hamstrings rather than hip flexors, a quick stride with feet landing directly under the body, heels kissing the ground, leaning forward from the ankles to generate forward momentum. But today, I also learned a bunch of new things that helped me tie all of these lessons together. Patton showed us the connection between jump-rope and running technique. He emphasized breathing techniques, and maintaining consistent inhalation and exhalation throughout a run. He explained the benefits of keeping one's center of gravity lower to the ground, and the importance of keeping our feet loose and relaxed. Patton taught us to focus on just one or two things that are within our control when we run, rather than struggling to keep everything picture-perfect. And best of all, we learned by doing. Many of Patton's lessons were taught through easy, fun drills that reinforced the nuggets of wisdom he was imparting to us. After each running drill, we had opportunities to watch demos, ask questions, and soak in Patton's responses. My favorite line of the day: "We are not broken." If we listen to our bodies and run in a way that's consistent with our physiology, we'll be just fine.